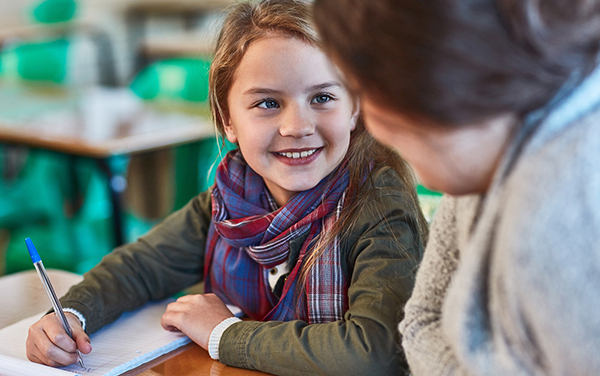 A personalised tutoring plan can help your child thrive at school. Engaging closely with a qualified tutor can ensure they develop the skills they need to stay on top of their school work, bringing a renewed sense of confidence and self-belief. If you’re on the hunt for a reliable, friendly, and effective tutor in the Canberra region, we can help. After consulting local feedback, we’ve come up with this list of the top three tutors in the area. Ready to jump right into it? Fantastic. Let’s get started. What makes an excellent tutor? When tutors are good, they are great. We suggest keeping an eye out for the following must-have traits. Friendly and compassionate. There is no point forcing your child to work with a tutor that doesn’t treat them with kindness and compassion. Knowledge of specific topics. For high school students, you will need a more specialised tutor with expert knowledge of not just their subject area, but also the standardised curriculum. Real results. If you are investing in a tutor, you want to see real results. The tutor should be excellent at explaining complex concepts and set homework tasks that produce fantastic improvements. Well priced. If you’re looking to hire a tutor long-term, look for an individual or company that charges a fair rate. Is there anything else you look for? Add your thoughts to the comments area below. Let’s introduce the top tutors and tutoring companies servicing the Canberra region – all of which come highly rated by Canberra locals. Specialising in top-quality home tutoring for students ranging from pre-school right through to university, Canberra Tutoring is a sure favourite. The experienced team behind Canberra Tutoring work closely with you or your child to formulate an enjoyable and effective tutoring plan designed to meet your specific needs. And, with no lock-in contracts or booking fees, you can take advantage of their excellent services without breaking the bank – it’s a win-win. Looking for tutors that specialise in Maths or English? Big Improvements Tutoring could be the best option for your family. The qualified and experienced tutors at Big Improvements Tutoring aim to develop your child’s skills while boosting their confidence levels. What sets Big Improvements Tutoring apart is their individual approach – they do not tutor in groups. Instead, they work one-on-one with each child to ensure their success at school and into adult life. John’s Academy delivers an extensive series of scheduled lectures throughout the year, all of which are structured to meet the specific needs set out by the ACT curriculum. Alongside these valuable lectures, John’s Academy offers one-on-one and group tutoring (one tutor with two or three students). With a wide range of subject offerings available, you may even like to gather a group of school friends with a common goal. That way, the team behind John’s Academy can tailor a unique tutoring solution for you. Have you invested in tutoring for your child? Who did you work with? Share your experience in the comments section below. Just send them to a good school? Our two were attending a group tutor each week and when we moved I did some research (well googled) looking for a tutor who could come to the house and who could help with both maths and English. Shane is $80 an hour which seems to be one of the higher amounts to pay per hour, however when I look at the fact that we were paying nearly the same amount for group tutoring (five to six kids in each group) and Shane comes to our house (always punctual too btw) I am glad we found him! I would be glad to offer my services to your family. I have previously been appointed as the house tutor of my high school, a residential academic tutor during university, and worked in the university library as an IT skills tutor and in the School of Medical Sciences as a casual academic tutor. My UAI was 99.7, graduating in third place at my school and achieving a top 5 result in my Yr 11/12 Advanced Mathematics course. However, I do not have any experience in tutoring at primary school level. I attended the Kumon teaching centres during primary school however, and have an excellent mathematics and grammatical/analytical English framework to work from. If you are interested in contacting me, please email: blackandsazerac at gmail dot com.